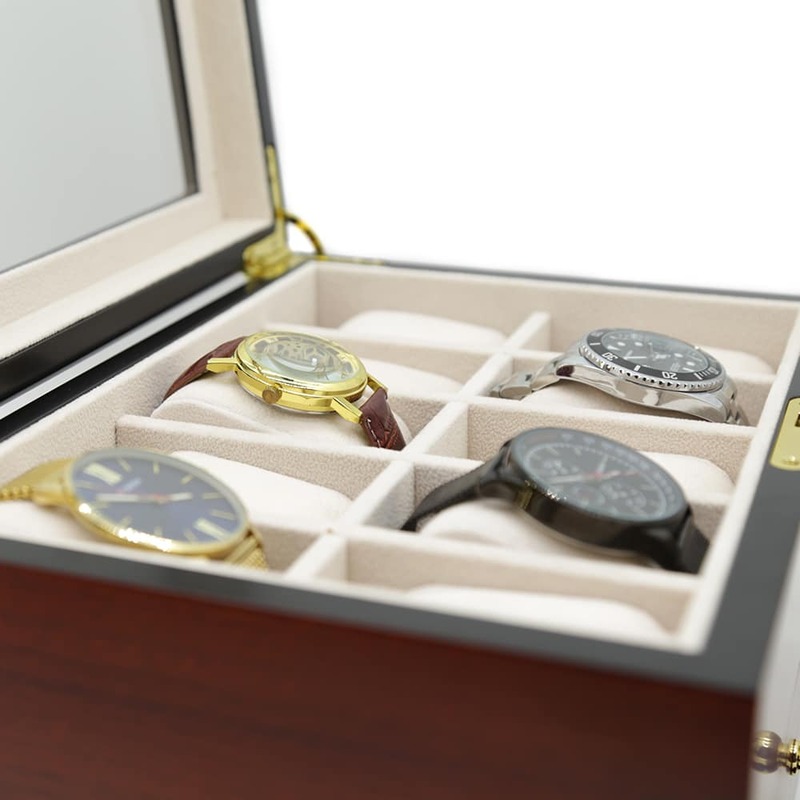 This 20 Slot Cherry Watch Box is everything you need to keep your collection of watches and other valuables. 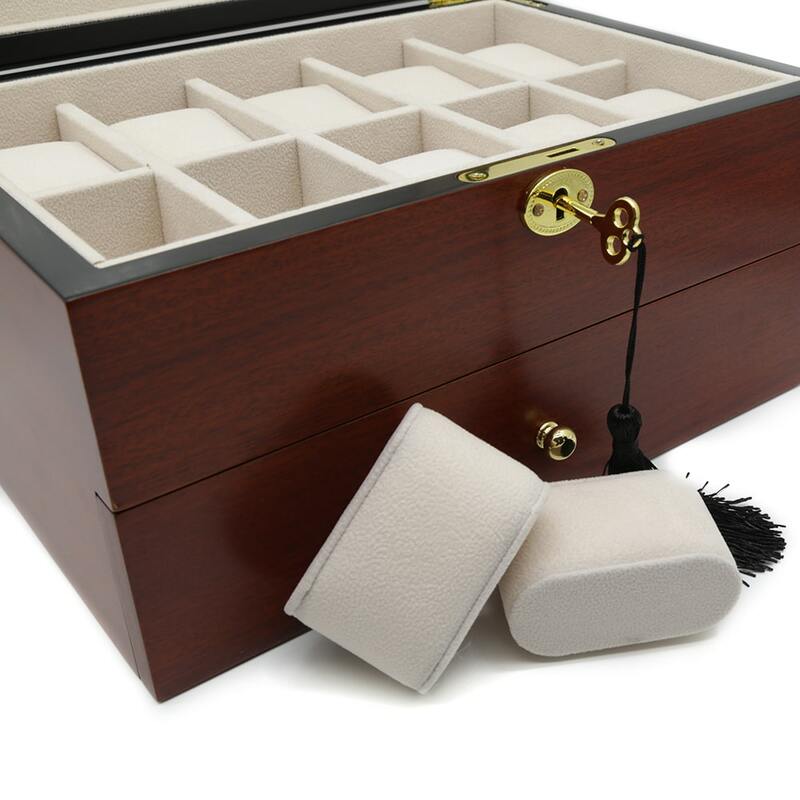 The exterior of this wooden watch box comes in a beautiful cherry colour with golden features and a cream velvet interior. 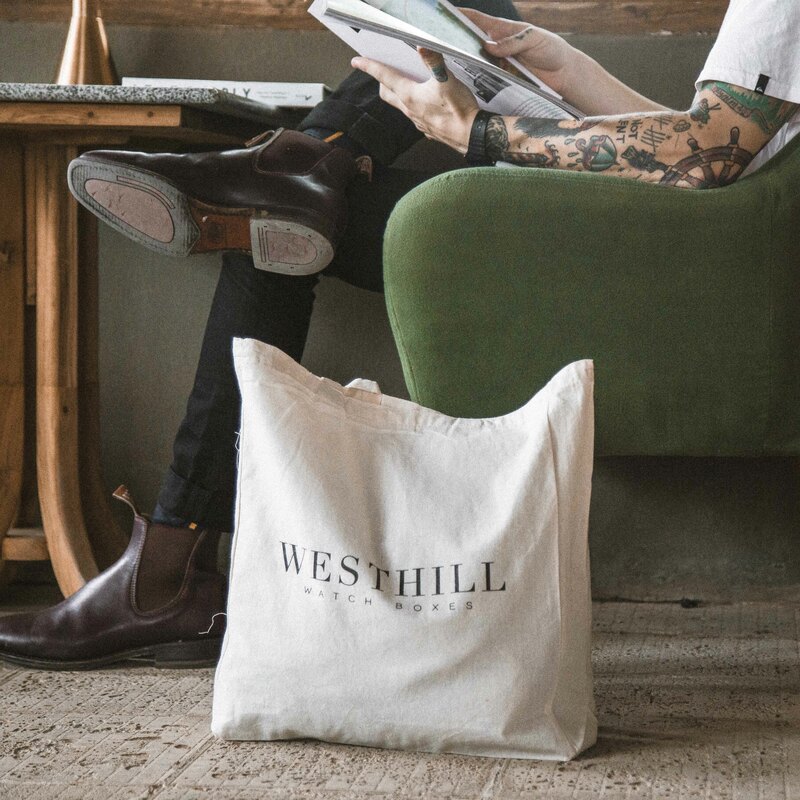 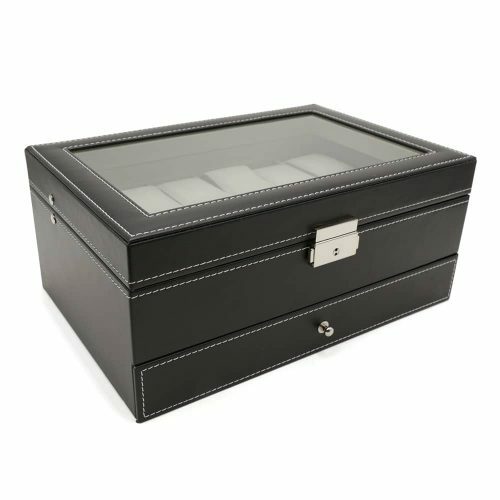 The lid is made of a durable see-through material allowing you to view your collection while keeping it safe from dust and dirt. 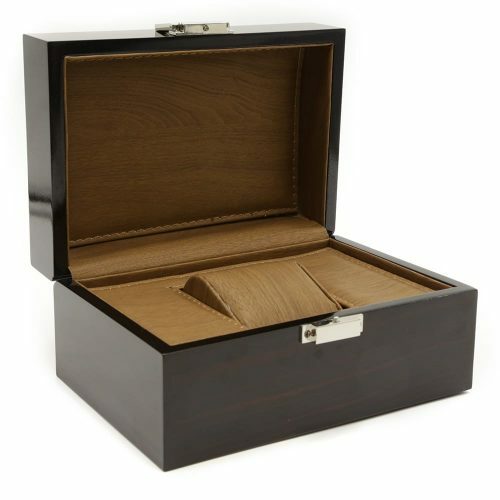 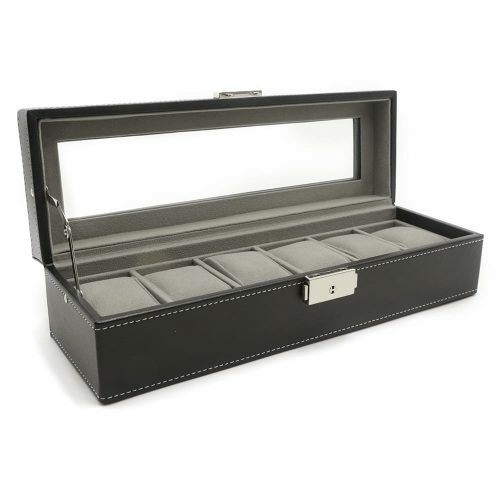 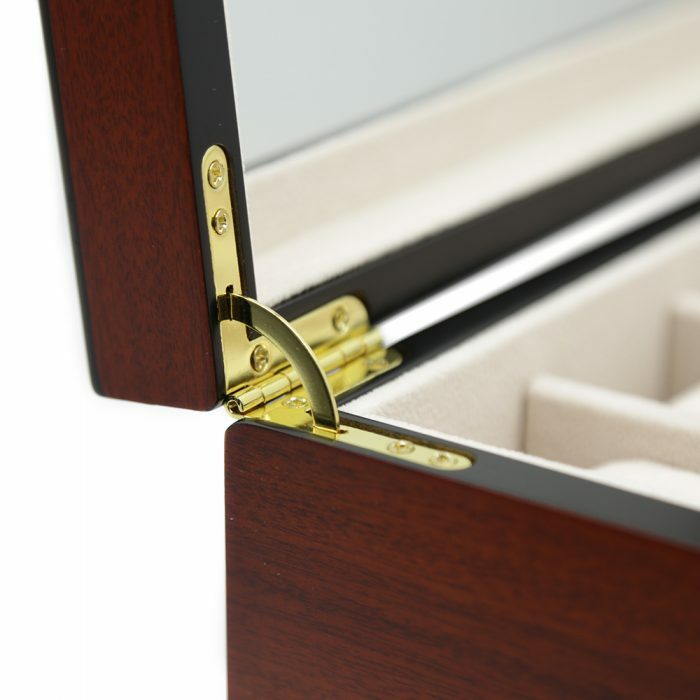 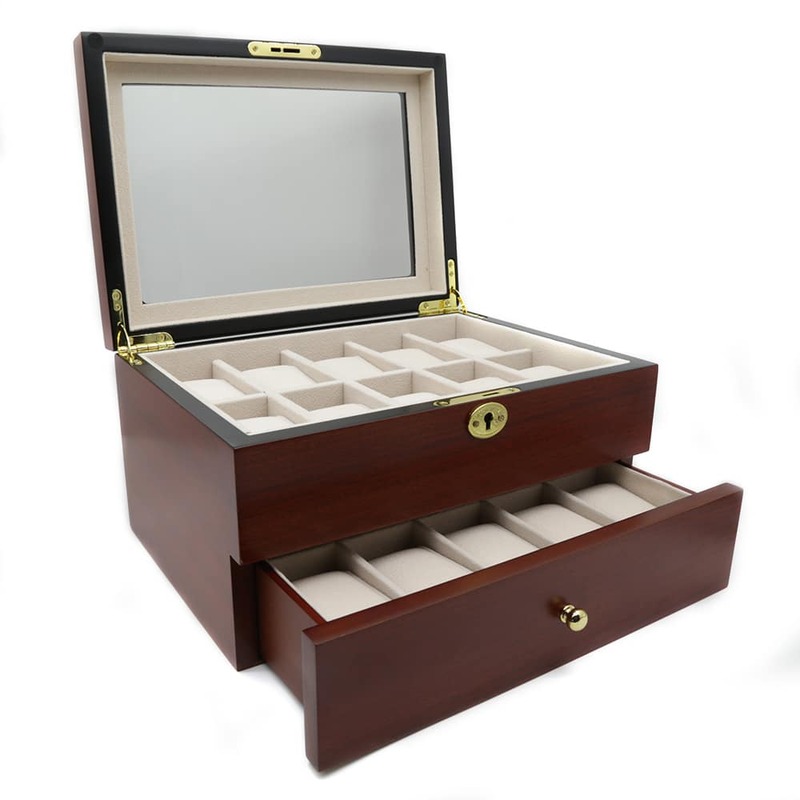 This watch box also has a lower draw which has 10 additional slots giving you 20 slots in total for your valuables. 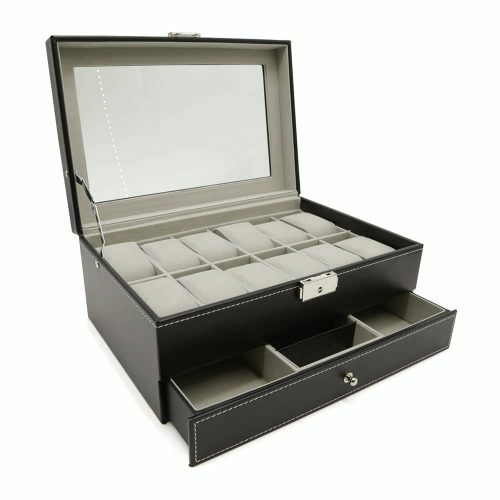 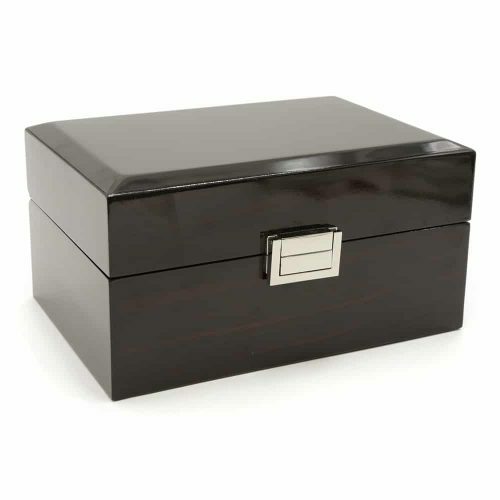 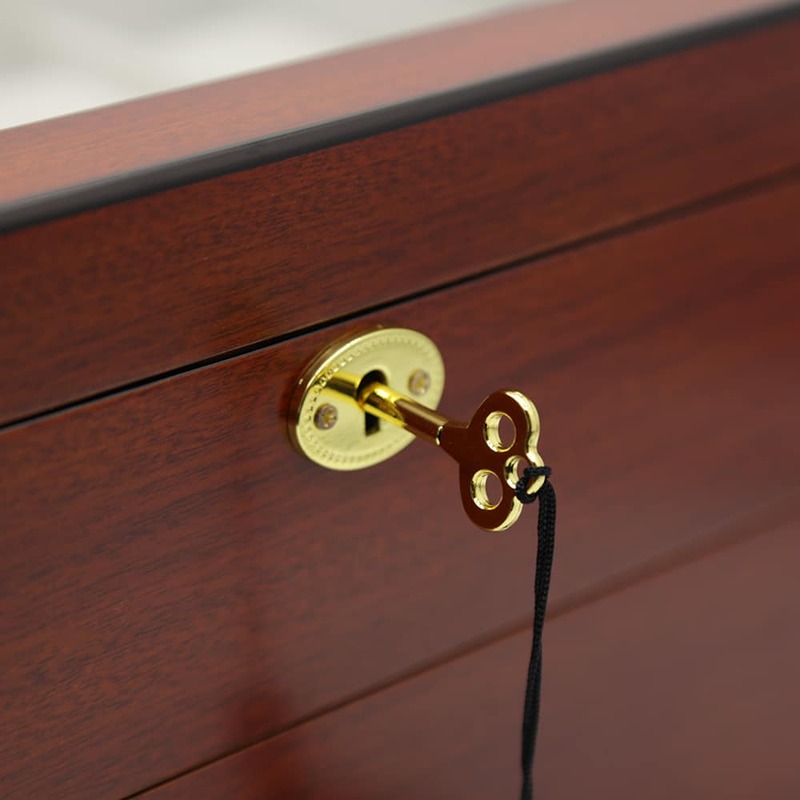 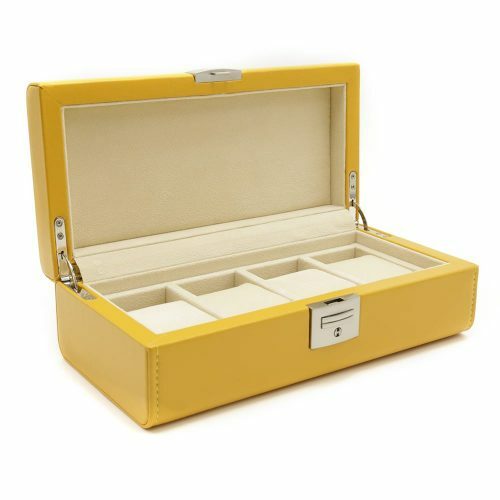 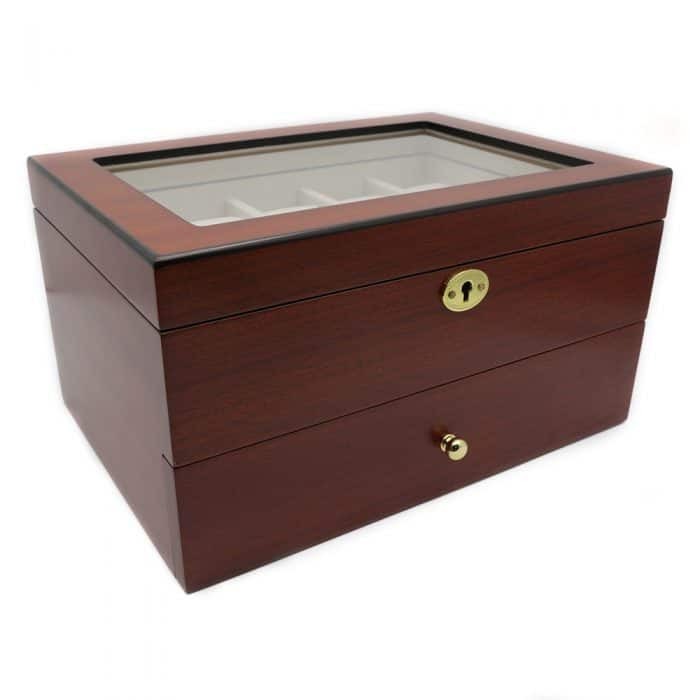 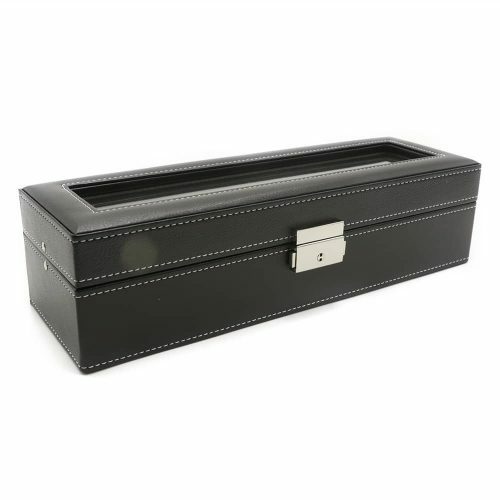 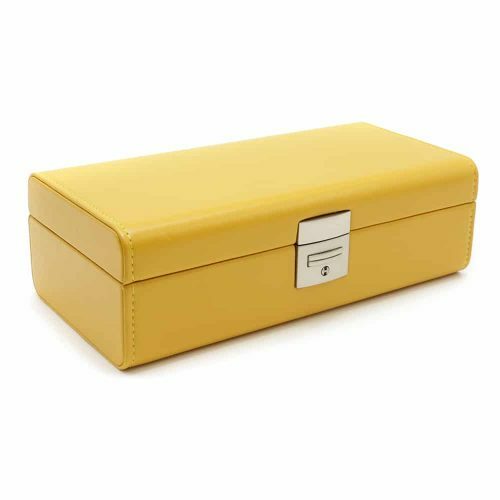 As an added security measure, this stunning watch box has a lock and key giving you peace of mind knowing your watches are safely stored away.